Who were our best and worst choices for a rookie sleeper in 2018? We’ll continue our retrospective by taking a look at our picks for the Sleeper Rookie of the Year. If there were an award for most maligned rookie in the off-season, Allen would win it in a runaway. Negative narratives about Allen flowed like a mountain stream, and very few had the guts to say a whole lot of positive about the rookie signal caller. Tom was one of those few. He recognized that there were real question marks around Allen, but showed the moxie to see a silver lining. Allen outperformed the negativity surrounding him by a fair amount, and did quite a bit of that with his legs. It was a strong rookie season in Buffalo, and it will be interesting to see how Allen develops. or athleticism and you certainly can’t teach intelligence. You can add weapons and you can improve accuracy. He completed 52% of his passes and had 10 touchdowns with 12 interceptions in 12 games. He ran for 8 touchdowns and 631 yards as well. I think it’s fair to add about 5 more passing touchdowns with a conservative 2 rushing touchdowns maybe another couple hundred yards rushing along with 3 or 4 more interceptions if he played the whole season. That is a modern fantasy weapon in today’s NFL. What the Bills do in the draft and free agency to improve the offensive line and add weapons is a question. 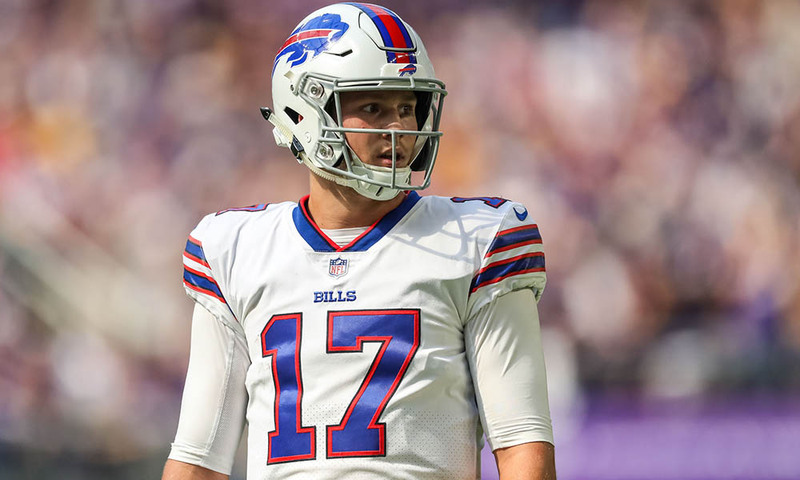 Along with what NFL teams do to stop Josh Allen in 2019 is also a question. I still like him going forward. Buy him now while he is still reasonable. I’d agree with buying Josh Allen, Scott. He still comes pretty cheap for what you might get out of him.